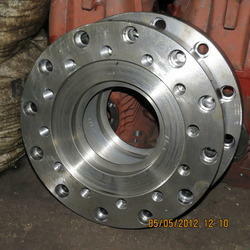 Our clients can avail from us a wide array of Adapter Plate. Our adapter plates are highly preferred by our clients because of their strength, long life, optimum quality, rust and corrosion resistance and affordable prices. We always develop our plates in accordance with the leading market trends. Our company has gained immense accolades in the field of offering Actuator Connecting Rod to the clients. Actuator Connecting Rod is extensively used in engines for linking up the piston to crankshaft. Offered range is made by inculcating latest technology and supreme grade raw material under professional direction. We are the leading suppliers for ESP8266 Adaptor Plate. This Adapter Plate is for ESP-07 ESP-08 ESP-12, a test board with IO lead out. Would be Used in Meter Packing and perfect/Permenant fitting. - Top and bottom surfaces are magnetic. 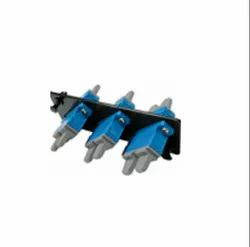 AFL Fujikura AD-30B Adapter Plate (for 16mm fixed cleave length with CT-30 fiber cleavers) S014100 is AFL's AD-30B adapter plate for CT-30 fiber cleavers. It is used for fixed 16mm length cleaving with the CT-30 high precision fiber cleavers. We take pleasure to introduce ourselves as one of the renowned organization for manufacturing best-in-class range of Adapter Plate. Hole size: 1 to 2"
High strength Dimensional accuracy Non corrosive Price: Approx 100 Rs to 20000 Rs. Our firm is a trustworthy enterprise, offers excellent quality Adapter Plate. Our rapidly growing organization is busy in offering a premium quality Adapter Plate that is available in numerous sizes.